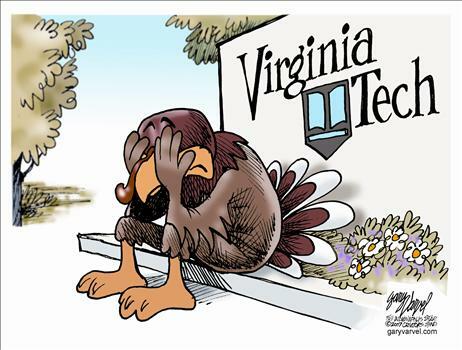 A new tragedy has hit Virginia Tech. Authorities are stepping up patrols near an area of Jefferson National Forest where two VA Tech students were found slain, during this first week of school. A man walking his dog in the forest's parking lot section of the Caldwell Fields area, Blacksburg, Virginia, early Thursday, August 27, 2009, found the bodies. They were 19-year-old David Lee Metzler of Lynchburg and his girlfriend 18-year-old Heidi Lynn Childs of Forest. When deputies arrived they found Metzler's body sitting in his car (a 1992 blue Toyota Camry), while Childs's body was on the ground nearby. The gravel parking lot of the campground and wildlife viewing area is popular among Virginia Tech students. Metzler was a sophomore industrial and systems engineering major and Childs, a sophomore biochemistry major. Caldwell Fields is a peaceful area away from the hustle and bustle of campus life, a hangout site for students, especially on the weekends. Caldwell Fields is 15 miles west of Mason Cove and Hanging Rock, which are on Catawba Valley Drive, and five miles NW of Lafayette, which is on Interstate 81. The area where the students were killed is about 15 miles from the VA Tech campus. The forest is technically named the George Washington and Jefferson National Forests, consisting of two U.S. National Forests that combine to form one of the largest areas of public land in the Eastern United States. 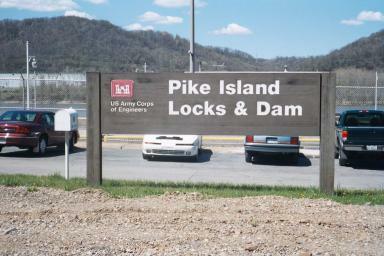 They cover 1.8 million acres (7,300 km²) of land in the Appalachian Mountains of Virginia, West Virginia, and Kentucky. One victim's name Metzler has origins in German (Middle Rhineland), as an occupational name for a butcher, Middle High German metzeler, from Latin macellarius "dealer in meat," from macellum "stall (at a market)," "meat market." In a statement released from the Virginia State Police, it has been learned that Childs is the daughter of a state police sergeant. It reads in part… "Tonight, the Virginia State Police grieves with Sgt. Donald Childs and his family during this deeply difficult and painful time." Childs, home-schooled in Abingdon, moved to Forest, Virginia, with her family about four years ago. Her father, Sgt. Donald Childs, has been a helicopter pilot with the Virginia State Police for 20 years. She had seven siblings, and fell somewhere in the middle. Childs had met Metzler at Heritage Baptist Church in Lynchburg, Virginia. Autopsies were being performed, but Montgomery County Sheriff Lt. Brian Wright said both students appear to have been shot sometime late Wednesday night (August 26) or early Thursday morning (August 27). Heritage Baptist Church pastor Gerald Kroll said Friday, August 28, 2009, both had been active in the church for a long time and were members of Campus Crusade for Christ. Two years ago, on April 16, 2007, a student gunman killed 32 others and then himself. On January 21, 2009, a doctoral student beheaded a fellow student in a campus cafe in the Graduate Life Center. The northwestern corner of Virginia Tech is located upon an old historic site called Draper’s Meadow - bordered on the south by Stroubles (Troubles?) Creek...On July 8, 1755 a group of Shawnee Indians entered the sparsely populated settlement and brutally killed five of the settlers that lived there in what eventually came to be known as the Draper’s Meadow Massacre. Draper’s Meadow became the town of Blacksburg. The incredible synch here is that one of the settlers that was killed – the oldest of the five, one Philip Barger, was decapitated by the Shawnee. They put his head in a bag and sent it to a neighbor, telling them a friend had come to visit. Today, few at Blacksburg, Virginia's well-known university are aware of this history. The community members have their hands full dealing with current unfortunate traumatic events, of course. Nevertheless, the past is prologue to the future. "Those who cannot remember the past are condemned to repeat it." ~ George Santayana. "I shall be accused of having assembled lies, yarns, hoaxes, and superstitions. To some degree I think so, myself. To some degree I do not. I offer the data." ~ Charles Fort. The Hillsdale bombing by Alex Youshock on August 24, 2009, seems self-fulfilling, in terms of it being a shock to the community where it occurred. On a deeper level, it continues the name-game theme seen recently with the death of John A. Keel and the involvement of the name "Ardmore" in clown and child abduction cases. If you recall, the name Ardmore is a Gaelic word signifying high grounds or hills. John A. Keel pointed to hilltops (literally the "keels" of the high grounds) as the best places to observe Forteana. Furthermore, synchromysticism's godfather John Shelby Downard was born in Ardmore, Oklahoma. Monday's school violence happened in Hillsdale, California, and, of course, there is a significant Hillsdale in anomalistic history. The famous Hillsdale UFO sightings of March, 1966, involved reports from Hillsdale County, as well as those in Livingston and Washtenaw Counties, Michigan. Over 100 witnesses (including policemen, college students, and a civil defense director) saw the other worldly objects, according to the histories of those times. On March 21, 1966, the Detroit News summarized the report of four Washtenaw County sheriff's deputies who saw "three or four red, white and green circular objects, oscillating and glowing, near Milan about 4. a.m."
The paper published a detailed technical illustration of an object that looked like two inverted saucers placed together with diagrammed placement of lights, antennae and a seemingly transparent dome. Other sightings came to the attention of the media, with one group of witnesses describing a craft as "pyramid-shaped" and having a "coral-like surface." The newspaper sketch of that object showed a "quilted surface." The Hillsdale case will forever be remembered for the US Air Force's then-skeptical spokesperson Dr. J. Allen Hynek brief investigations and finding that the whole event was caused by "swamp gas." This upset the witnesses, and especially people like pilot William Van Horn, who grew up near a swamp and knew what he saw wasn't swamp gas. 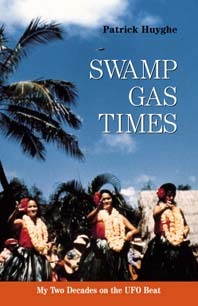 Swamp Gas Times: My Two Decades on the UFO Beat. Does Hillsdale's California event sign another shift in the cosmos, as well? The 2009-2010 school year has begun with a bombing. Teachers at Hillsdale High School in San Mateo say a former student came back to class Monday carrying a pipe bomb. CBS 5 reported on August 25, 2009, that the 17-year old former student arrested for setting off two bombs at San Mateo's Hillsdale High School was identified late Monday as Alex Youshock. This is according to more than a half dozen of the suspect's neighbors, classmates and teachers interviewed by CBS 5. Agents with the federal Bureau of Alcohol, Tobacco and Firearms (ATF) and local police searched the suspect's apartment on Casa de Campo Street in San Mateo on Monday evening. They removed bags of evidence from the boy's apartment, including what San Mateo police Lt. Mike Brunicardi described as "bomb making materials." Police said they were not naming the suspect because he is a minor. 14-year-old Moises Molina said officers asked him if he knew Youshock, and showed Moises a photo of the boy who lives in the apartment. "I seen him getting arrested and yeah, that was him," said Molina. Next door neighbor, April de Guzman, said she shared high school and middle classes with Youshock. "He didn't talk much," Guzman said. "He was really quiet, didn't have that many friends. Kept to himself." No one was hurt in the blast just after 8 a.m. at Hillsdale High School at 3115 Del Monte St., authorities said. Some students reported that the explosion happened outside a room where a sophomore history class was in session, said the San Francisco Chronicle. Authorities say an explosion at the San Mateo, California high school forced evacuation of students and cancellation of classes, according to the Associated Press. San Mateo police Lt. Mike Brunicardi says officers received calls Monday, August 24, 2009, reporting a blast at Hillsdale High School. Brunicardi says students were evacuated to a middle school. The suspect was confronted by two teachers after the explosions and was then tackled and restrained by a third teacher. Soon thereafter, a male suspect was arrested. The teen was armed with a two-foot-long sword and chainsaw, in addition to eight pipe bombs strapped to his body. According to police, the suspect had detonated two of a total of ten explosive devices he had attached to a tactical vest. Those devices were cut from the suspect's vest. Raw footage on KTVU.com showed police handcuffing a young man with a closely cropped hair and a scruffy beard wearing a white T-shirt and white boxers or shorts. (It appeared that he had been stripped of his clothing due to the hidden nature of the weapons attached to his body and the noted vest.) Officers put him into a marked police car. A bomb squad searched the school for any other explosive devices. Hillsdale High School is starting its second week of the new school year. It has 1,200 students, and their mascot name is the Knights. San Mateo is a city in San Mateo County, California, United States, in the San Francisco Bay Area, having been originally part of the Rancho de las Pulgas (literally "Ranch of the Fleas"). 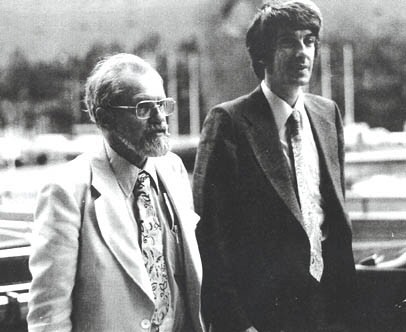 As some of you know, the French scientist Claude LaCombe (François Truffaut) in Close Encounters of the Third Kind was based on Boing Boing writer David Pescovitz's friend, and mine too, Jacques Vallée. David Laughlin (Bob Balaban). Name game note: Laughlin, Nevada, in the extreme southern tip of the state, has become a modern focal meeting point for ufology conferences, anomalistic gatherings, and Area 51 researchers. See here for more from David on what special phrase shows up in CEIII that is, indeed, so very Vallée. Thanks also to Patrick Huyghe of Anomalist Books for bringing this to my attention. Disney World has lost its third employee in seven weeks - this time, an individual working in the Indiana Jones show. The stunt performer was killed after an accident during rehearsals for a show at the theme park in Orlando, Florida. Anislav Varbanov suffered head injuries while practising a tumbling roll for the "Indiana Jones Epic Stunt Spectacular" in the Hollywood Studios section of the Florida resort. "We lost a valued cast member and our thoughts are with his family, friends and co-workers as they mourn his passing," Disney said in a statement released to local news channel Fox 35. The live show, which recreates scenes from the film Raiders Of The Lost Ark, will not go ahead on Tuesday as a mark of respect for Varbanov. The stunt performers are involved in fight and fire scenes, chases and explosions, as well as acrobatics on a motorbike and plane. Varbanov's death came a week after a 47-year-old performer died after a fall on stage during another show, Captain Jack's Pirate Tutorial. Mark Priest was sword-fighting during the show, based on the Pirates Of The Caribbean films, when he slipped and hit his head on a wall. He joked about his condition when he was taken to hospital but deteriorated rapidly and died. In July, 21-year-old monorail driver Austin Wuennenberg was killed when another train crashed into the one he was operating near the Magic Kingdom. We live in strange times, it seems, with politicians viewed through the character of an evil clown who was played by a famed actor who died young. Take this summer of 2009. Look at the new posters called "unpleasant," "disturbing" and a "fake grassroots movement" by liberal bloggers, and pointed out by conservatives as some kind of "popular" commentary. The original image was apparently created by Firas Khateeb, a student living in Chicago. 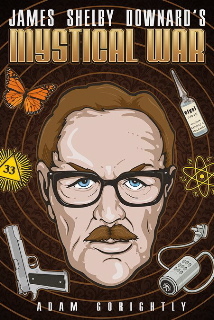 However, whoever adapted it as a poster and added the legend, "socialism," is still a mystery. Photos by Chris, via Tammy Bruce. 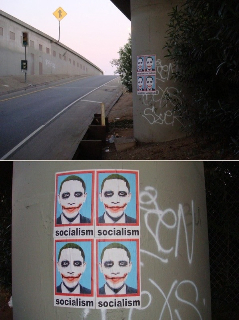 Made by persons unknown, the posters started showing up around Los Angeles. 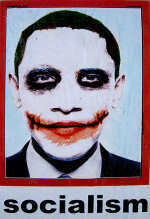 They are of President Obama as a version of Heath Ledger's Joker character in The Dark Knight, with a none-too-subtle "socialism" message attached to them. Of course, such visual expressions were used against the previous administration too. 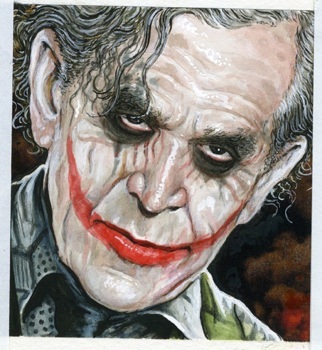 Drew Friedman, in July 2008, drew President George W. Bush as "The Joker" for Vanity Fair. He entitled it "No Joke." 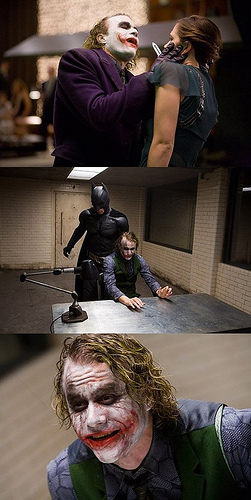 Clearly, the Joker's impact lives on today. Jack Nicholson, shooting the James L. Brooks comedy in town, was spotted sitting near home plate at Monday's Phillies-Cubs game in a white Yankees cap. 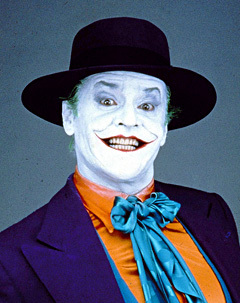 Fans gave him a pass because, well, he's Jack Nicholson. The Phillie Phanatic came out on the field in a Batman costume and pretended to take on "The Joker." Nicholson played along, shaking his hands to signal that he was going to "get him." Meanwhile, the movie's star Reese Witherspoon, who starts before the cameras Tuesday (7/21) in the Brooks comedy, was Jake Gyllenhaal-less at dinner with her kids and nanny Saturday at Plate restaurant at Suburban Square in Ardmore. She's living on the Main Line. For future reference, be aware of the Joker, Donnie Darko's Jake Gyllenhaal, and the name "Ardmore," in Michael Klein's short passage. 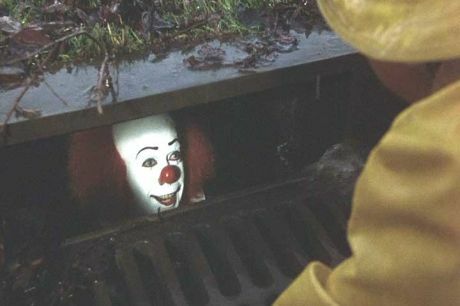 As I have mentioned recently in "Top Ten Evil Clown Stories of 2008", "Evil Clowns 2008", and "Phantom Clowns Are Back", sinister clowns are an active Fortean and cultural phenomenon. Now, something wicked this way comes, or, at least, a new momentarily appearance of same. On August 11, 2009, WSBT 24/7 News broadcast the following breaking story, "Clown reportedly chases man near Ardmore Trail." Police looking for a man dressed as a clown were unsuccessful in locating him early Tuesday [August 11, 2009] — that’s after a driver told St. Joseph County authorities the stranger chased him around just west of South Bend. The man called 911 shortly before 3 a.m. and said the person in a clown suit was on foot, but chasing him as he was in his truck in the 55500 block of Melrose Avenue. The clown then disappeared back into the woods, police were told. Officers who responded to the scene were unable to locate the clown, according to 911 dispatch. Clearly, in this seemingly near "abduction" case, it reminded me of the "Phantom Clown" cases where clowns were seen, children were threatened with kidnappings, and the clowns then merely vanished. So I searched around a bit. Guess what? On Thursday, August 6, 2009, there was a near-abduction of a little girl in...get this...Ardmore, Oklahoma! Ardmore Police say a 10-year-old girl was riding her bike near her home Thursday evening when a man approached her and asked her to get into his car. Now a seemingly quiet neighborhood is on edge. Ardmore Police say the only description the little girl could provide is that the man was light skinned. They say it was the skills her parents taught her about strangers that possibly saved her life, because she refused the man's invitation to get into his car and immediately ran home. Ardmore, Oklahoma having a near-child abduction and Ardmore Trail, Indiana being the focus of "clown" attention on 8-11 are bizarre and very Fortean. What name game is behind "Ardmore"? The name Ardmore is a Gaelic word signifying high grounds or hills. John A. Keel would often point out that hilltops (literally the "keels" of the high grounds) were the best places to observe Forteana. Most of the uses of the word "Ardmore" link directly back to Ardmore, Ireland. Round tower and ruins of St Declan's Church, Ardmore, Ireland. 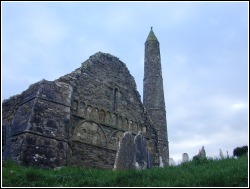 On a hill above the village of Ardmore, Ireland, is a well-preserved 30m high, 12th-century round tower and the ruins of St Declan's church and oratory dating from the 13th and 8th centuries respectively. One of the outer walls of the church features some stone carvings retrieved from an earlier 9th-century building. The carvings include a very early image of a harp, and of Adam and Eve in the garden. 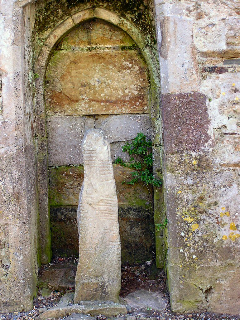 The Ardmore church also contains two Ogham stones (ancient alphabet message phallic carved rocks, see one below), which rest in small alcoves. Where does "Ardmore" pop up in the USA? Ardmore, Oklahoma was named after the affluent Philadelphia suburb and historic Pennsylvania Main Line stop Ardmore, Pennsylvania, which was named after Ardmore, Ireland (the oldest Christian settlement in Ireland) by the Pennsylvania Railroad in 1873. Another Ardmore is a city in Giles and Lincoln counties in the U.S. state of Tennessee, and borders its sister city, Ardmore, Alabama. 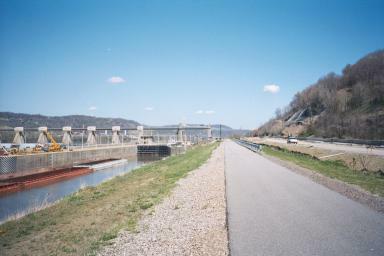 That Ardmore is a town in Limestone County, Alabama, and is included in the Huntsville-Decatur Metro Area. It is home to the Saturn 1B Rocket, at the Alabama Welcome Center, just south of the Tennessee border, on Interstate 65. On April 22, 1966, Ardmore, Oklahoma, was the site of the worst plane crash in Oklahoma history, which killed 83 people. And now a "clown" is appearing along the Ardmore Trail in Indiana, and a child kidnapping phantom in Ardmore, Oklahoma. BTW, as aferrismoon points out, synchromysticism's Godfather John Shelby Downard was born in Ardmore, Oklahoma. Ardmore is the site of Downard's imagined or real horrible Masonic childhood abuse memories. Thanks to Dan Shideler for the first hints of the Ardmore Trail events. A 42-year-old woman who set herself on fire at a Miami shopping mall died less than a week after the shocking scene, police said. Cecilia E. Casals died Tuesday, August 18, 2009. Police say Casals covered herself in flammable liquid, set it ablaze and walked about until witnesses used two fire extinguishers to put out the flames. Miami-Dade police wouldn't divulge any other details on August 19, 2009. Authorities found Casals unconscious on August 13, 2009, with third-degree burns over 75 percent of her body, and airlifted her to a hospital. She was on fire about two-and-a-half minutes. Court records show the woman had a history of mental illness and had been convicted on prescription drug trafficking charges, The Miami Herald reported. In October, Casals received probation in the drug case. A woman set herself on fire at a Miami mall on August 13, 2009, then walked around engulfed in flames as shocked shoppers watched. She started in a clothing store called Savage Boutique. Two men and a woman who tried to help her were hurt, but not badly. The 43-year-old woman, whose name was not released, doused herself with a flammable liquid at the Mall of the Americas in Florida, said Miami-Dade Fire Rescue spokesman Arnold Piedrahita. The suicidal woman had third-degree burns over 75 percent of her body and was found conscious in a parking lot. Authorities do not know why she set herself on fire. She was air-lifted to a hospital. Jose Morales, 24, said he was about to pay for earrings for his girlfriend at a nearby kiosk when he heard screams and thought someone had fallen. When he turned around, he saw the blaze and realized someone was within it. "This woman is just walking like this, super slow, completely on fire," Morales said, his arms stretched out at his side to show what the woman looked like as she walked out of the store. "You couldn't see nothing but fire." Morales said witnesses used two fire extinguishers on the woman, who was on fire about two-and-a-half minutes. All of her clothes except her underwear disappeared into ashes. After the fire was out, Morales said, the woman walked out of the mall and into the parking lot. The two men injured helping her were treated at the scene while the woman who helped was taken to a hospital. The mall remained closed as of late afternoon. • In June, a man Brandon, Fla., tried to kill himself by dousing himself with gasoline and then lighting himself on fire. The 67-year old-man was taken to a Tampa hospital for treatment. He survived. • In February, a WalMart employee in Chicago set himself on fire outside the store where he worked. Larry Graziano, 58, used lighter fluid. Bystanders tried to help, but Graziano fought them off. He died of his injuries. • In 2004, a 34-year-old Pahokee, Flordia, man was rushed to Jackson Memorial Hospital after he slashed his wife with a knife and then set himself on fire. The day before the latest Florida incident, on Wednesday, August 12, 2009, police were called to a Halifax, Nova Scotia hospital building after a man doused himself in gasoline, threatening to set himself on fire. Police say they found the man, 29, in the lobby of the Centennial Building of the QEII with two lighters. There were no injuries, the gas-soaked man was arrested without incident, and police say no criminal charges are anticipated. Thanks for the Mall of the Americas tip from SMiles Lewis. The killer, identified by authorities, and noted by himself on his website diary as "George A. Sodini, a.k.a crazygeorge" has left a vast Internet trail of his musings of hate (e.g. black men have their choice of the best white girls). The 48-year-old's rampage plans are also documented in his web DOD ("Date of Death") entries. Sodini said he would die on August 4, 2009. See the bottom of this posting for further details on Sodini's angle of the story. The published photos from his vacations do show an intriguing pull to some of the names of interest, as for example, this one above from his website. Shootings have occurred tonight at a highly symbolic geographic "intersection" where people use to say to each other, "Meet me at the bridge." That's how a little community outside Pittsburgh called Bridgeville got it's name, when folks use to meet each other for trading at the very first bridge built at the crossing of Chartiers Creek at the south end of what is now Washington Avenue. Before today, Bridgeville, Pennsylvania, had been most famous in current popular culture for being the home of Jenna Morasca, a winner of Survivor: The Amazon. Well, actually, Morasca tells people she's from Bridgeville because she really is a resident of South Fayette Township, but everyone uses the Bridgeville mailing address. Yes, South Fayette Township is the adjoining town, and running right through the 1.1 square mile borough that is Bridgeville is the Washington Pike. The name game runs deep here. A deathly "rampage-style" shooting occurred in Bridgeville on Tuesday, August 4, 2009. Initial reports said five women are dead and the shooter too, who has died by suicide. [Update: Overnight reports indicate three gym victims died and the gunman, who left an unreleased note, took his own life. 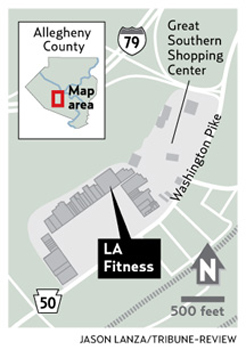 The names of some of the LA Fitness Shooting victims have been released. Elizabeth Gannon, Heidi Overmier, and Jody Billingsley have died. Elizabeth Gannon was 49 of Pittsburgh (Scott Twp). Heidi Overmier was 46 of Carnegie. It all happened at a LA Fitness gym, in the Great Southern Shopping Center in Collier/Bridgeville. Specifically, it is known as the Bridgeville Club in Pittsburgh, by the LA Fitness staff. Witnesses said a gunman wearing a black hat walked into an aerobics room filled with women shortly after 8:00 p.m. Eastern, turned out the lights and opened fire, according to breaking news services and the Pittsburgh Tribune-Review. Several witnesses told a WTAE Channel 4 Action News crew first at the scene that a man unrecognized by the gym's staff, entered the facility, turned off the lights and shot people in a Latin dance class in the aerobics center at the time of the shooting. Every witness to whom WTAE Channel 4's Jon Greiner spoke said they didn't realize what they were hearing was gunfire. "The lights were off and I could see flashes in the dark," said Jared Frederick, a witness. A woman in the class at the time of the shooting, identified as Nicole, told WTAE Channel 4 Action News that the class had started about 10 minutes before the gunfire. She said about 30 people -- all women -- were in the class when "a middle-aged white male walked into the class. He had a big gym bag." "He looked out of place in a class full of women," according to the witness, who said the man put his bag down, turned the lights off and opened fire. "It was horrible. He was 20 feet from me. He got off a lot of shots." The woman said she ran out of the gym as quickly as she could and got into a stranger's car to escape the gunfire. Others said 100 people were in the gym area. Police responses came from Bridgeville, Scott Township, Collier Township, Upper St. Clair and Mount Lebanon, among others. An Allegheny County policeman said he believes one of the dead was the gunman. Witnesses said they saw two to four wounded women lying outside the back door and two others lying in a parking lot at the side of the LA Fitness center along Washington Pike, noted the Pittsburgh Tribune-Review. Witnesses reported hearing dozens of gunshots before the shooting stopped. "All of a sudden there was a really loud noise," said Julia Zorzi, 27, of Crafton, who was on a treadmill on the main floor when the gunfire began. "I heard 40 to 50 shots, and I hit the deck. I saw people running out. I ran outside and there were two girls lying outside. "The shots came very fast," she said. "It sounded like he was using a serious piece of machinery." Police and paramedics from throughout the South Hills and Pittsburgh responded to the shootings shortly after 8 p.m. A St. Clair Hospital spokesperson put the death toll at six, including the gunman. Others reported later another victim had died. "He kept firing and firing," said Dennis Curry, 28, of Scott, who said he was working out on an elliptical machine upstairs when he heard the gunfire. "There was chaos. I ran out the back door, saw a girl lying there with a gunshot wound. I put a shirt on her to try and stop (the bleeding). There was blood everywhere." LALATE has broken the news that the killer's, George Sodini’s online diary website preparing for LA Fitness Shooting was GeorgeSodini.com. Lee Ann Valdiserri is referenced by George Sodini in his website GeorgeSodini.com. A Lee Ann Valdiserri is listed as dead in online obituaries printed years back, as early as potentially 2006. ABC's "Good Morning America" has confirmed that George Sodini, 48, of Scott Township, Pa., was the man who police say Wednesday walked quietly into an aerobics class at LA Fitness in Bridgeville, Pa., where he was a member, turned off the lights and started shooting. Police said they found 52 casings at the scene. Three women, 46-year-old Heidi Obermier, 49-year-old Elizabeth Gannon and 39-year-old Jody Billingsley, were killed in the attack, according to the Allegheny coroner's office. Among those reportedly shot were Sodini's ex-girlfriend, who survived, and the class instructor, who had just told her class she was pregnant, according to the Pittsburgh Post-Gazette. Jen Malley told "Good Morning America's" Chris Cuomo that she was in the Latin dance class at LA Fitness Tuesday when the shooting started. It's a class she takes every week with friends. “The biggest problem of all is not having relationships or friends, but not being able to achieve and acquire what I desire in those or many other areas. As broke earlier today on LALATE, George Sodini in the LA Fitness shooting shot his ex girlfriend, the aerobics instructor, who had just told her class she was pregnant, but she survived. 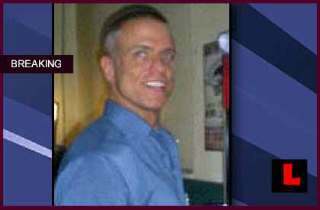 George Sodini, 48, of Scott Township, Pa. was found dead along with four women. UPMC Mercy Hospital says five of the women injured are in critical condition, two are in fair condition. The conditions of the remaining injured women are still unknown. As comment maker Ryan noted, Sodini says: "This is like the Twilight Zone."